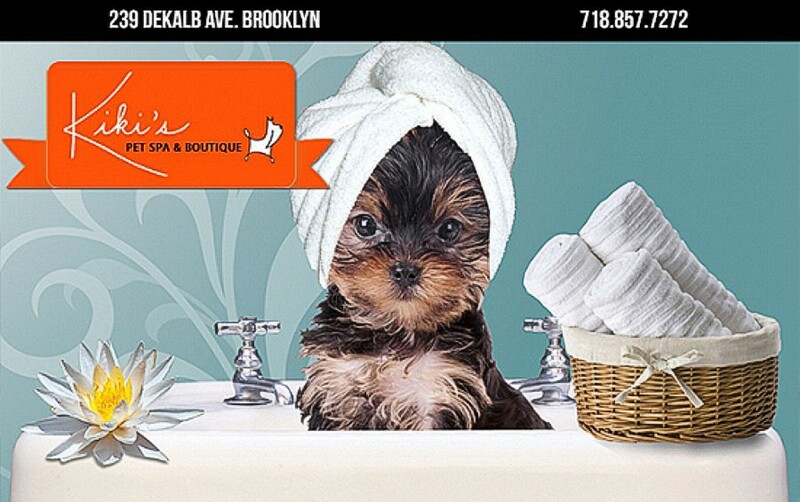 Kiki’s Pet Spa & Boutique goal is to cater to all pet care needs under one roof in the same location! Our objective is to ensure that our customers are 100% delighted with our services. As an only child growing up in Guyana, I often longed for sibling companionship and would always pester my parents for a younger brother or sister. Eventually when I was fifteen years old, my mother finally conceded and I came home one day to find my new sibling – a sweet, loving, black and white daschund mix dog. I named her Kiki. From the time Kiki entered my life I was never the same again – Kiki and I were inseparable, we would go everywhere , she slept in my bed with my (in the Caribbean that’s almost unheard of!! ), and she even had her own spot at the dinner table right at my feet. It wasn’t until I left Guyana to attend college in Florida that we were separated. But although separated geographically our bond always remained strong. Whenever I would return home from college on vacation she would run in circles at the first sight, or smell, of me! Kiki led a long life basking in the Caribbean sun – she loved to spend her days chasing birds. She lived a long and exciting life and finally passed away at the age of fourteen (she was ninety eight in human years) a few days short of her fifteenth birthday. Although Kiki may be gone she still lives on in the hearts of all those who loved her and will always be remembered. Kiki helped me develop my unconditional love for animals which is in large part what made me conceptualize Kiki’s Pet Spa & Boutique. As I previously mentioned, I was born in and grew up in Guyana. When I was seventeen I left Guyana to attend Florida International University in Miami, FL. My life prior to opening Kiki’s Involved attaining a Master of Business Administration (MBA) from Georgetown University, as well as twelve years spent in a variety of corporate functions (including Associate Buyer for Federated Department Stores and Senior Maketing Manager for American Express’ Small Business Services division). Through my education and experience I gained a solid understanding of the fundamentals of marketing and business management. As with most people in corporate America, in my last years in corporate America I grew restless. I wanted more independence and control but most of all I wanted to do something I was passionate about. I was in Fort Greene at the time and noticed the huge pet population that was not being catered to. I wrote a business plan, attended the New York School of Dog Grooming and opened up Kiki’s Pet Spa & Boutique. It’s not as simple as I’ve made it seem but that’s exactly what happened.